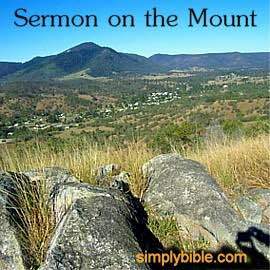 This page continues to study Matthew chapter 7 and the Sermon on the Mount, presenting puzzles and quizzes for your enjoyment in learning. 1. Wise people -- what Jesus says. 2. Seek, and you shall ----. 5. King in a quest. 10. King in a petition. 12. Don't give what is holy to this. 16. Enter by the narrow one. 18. Do not give these to pigs. 1. “I never knew you” will cause this. 3. May be required to find the rock. 4. Who should listen to Jesus? 6. At the door of the king. 8. The winds ---- -- the house (two words). 11. Pray properly and God won't say this. 12. What the foolish man’s house ended up as. 13. When should we walk the difficult way of Jesus? 14. How many find the narrow gate? 17. The --- and the prophets. 1A=do, 1D=dismay, 2A=find, 3D=digging, 4D=we, 5A=seeking, 6D=knocking, 7A=abhor, 8D=beat on, 9A=ye, 10A=asking, 11D=no, 12A=hound, 12D=heap, 13D=daily, 14D=few, 15A=en, 16A=gate, 17D=law, 18A=pearls. In which verses of Matthew 7 do you find the items below? Give a verse for each item. A log verse 4, a fire verse 19, pearls verse 6, floods verse 25 or 27 a stone verse 9, a snake verse 10, swine verse 6, demons verse 22, a gate verse 13 or 14, a speck verse 3 of 4, wolves verse 15, dogs verse 6, thistles verse 16, fruit verse 16 etc, a fish verse 10, a rock verse 24 or 25. Complete these quotes from Matthew 7. 1. judge...judged, 2. ask...given, 3. says...does, 4. teaching...authority, 5. know...fruits, 6. knew...depart, 7.holy...dogs. There are three frames below. Each has two 3-letter words across and two 4-letter words down. But obviously some of the letters are missing, and there are numbers where the letters should be. Each number is a verse in Matthew 7, where the word you have to complete will be found or at least a word close to it in meaning. Oops! One word in the puzzle is backwards. That’s BAD, isn’t it? The words are: log, like, eye, gate, bad*, dogs, sin, barn, see, sand, day, easy. *That's the word spelled backwards. —A look at the imagery in Matthew 7, and an outline of the chapter. Tap the title above, next to the arrow, to go to that lesson with a link back to this page.